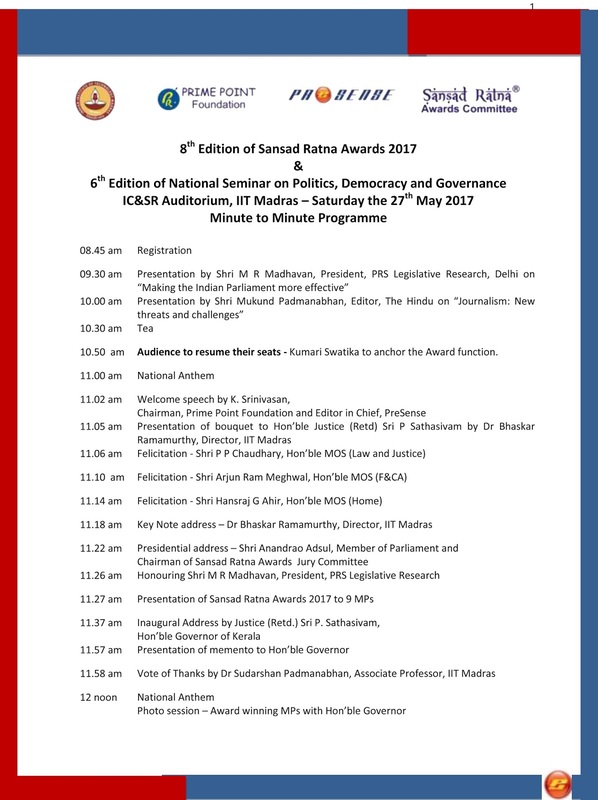 8th Edition of Sansad Ratna Awards 2017 and 6th Edition of National Seminar on Politics, Democracy and Governance will be held at IIT Madras on 27th May 2017. 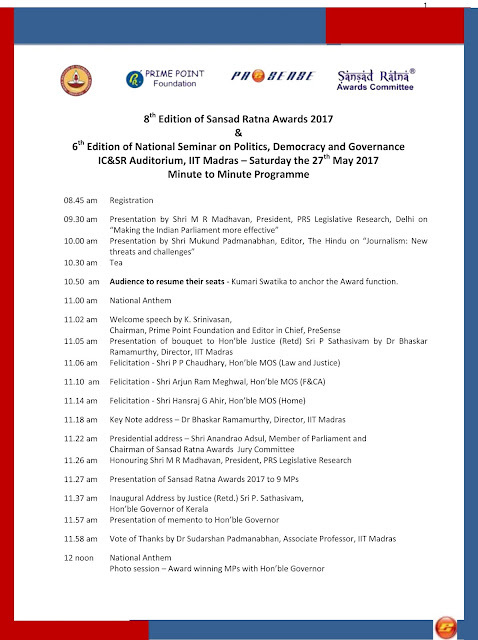 The detailed programme is given below. 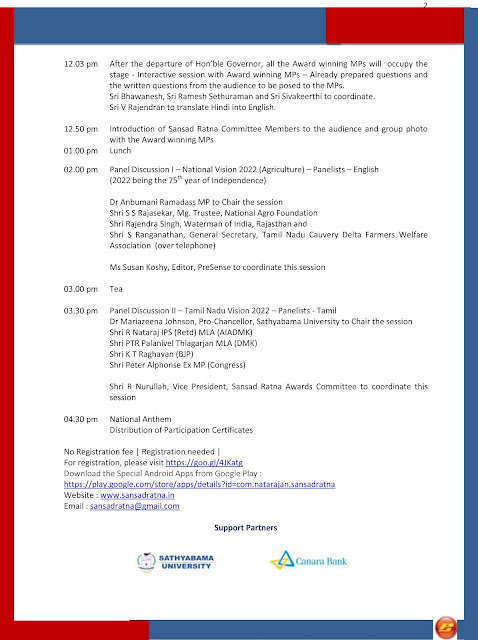 This is a great opportunity to interact and listen to India's outstanding Parliamentarians. 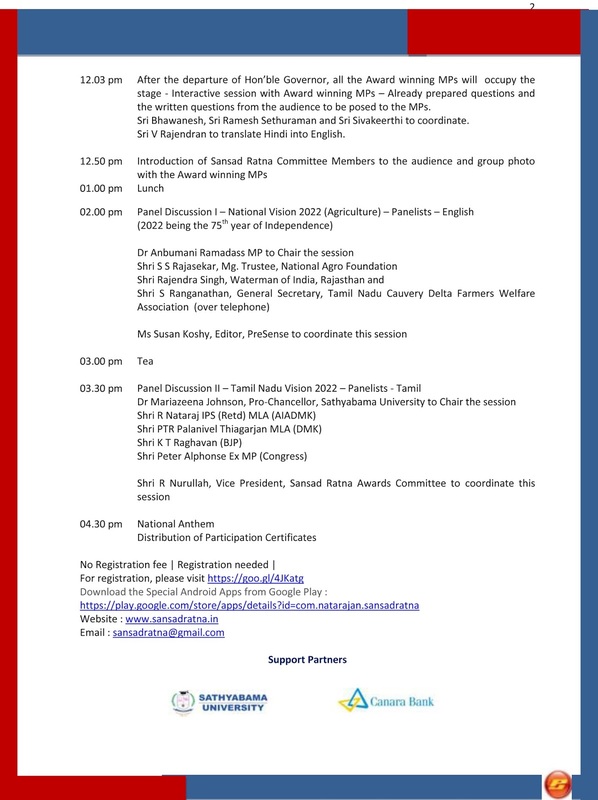 We have exclusive lecture sessions and panel discussions with participation by eminent policy makers and experts. Interested may register through the following link. https://goo.gl/4JKatg. This programme will be useful for political and civil service aspirants. There is no Registration fee. But registration is a must. Only limited seats are available. Registration will be closed when the hall capacity is reached.